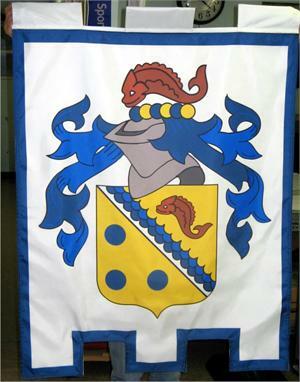 Each banner was designed using a specific family crest template layout. 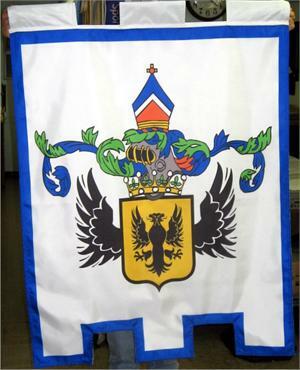 Most banners of this style have been customized to include the family name. 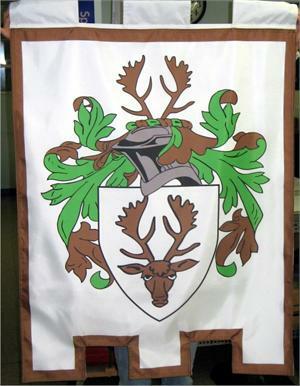 The coat of arms that was developed for these templates were based on heraldic principles and symbolism. 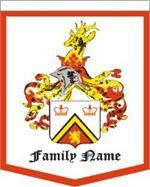 Various design elements connote specifc family traits, values and honorifics. 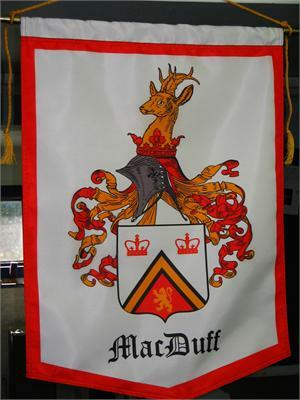 Most people actually don't have a specific family coat of arms or crest. 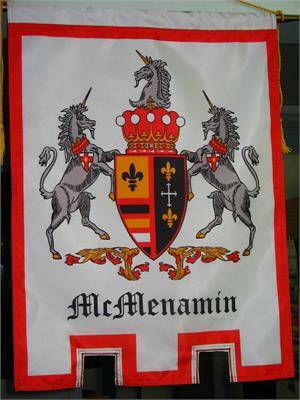 This prompted us to design several variations that could be chosen by a modern individual wishing to establish a unique symbolic crest presentation for themselves or their family. 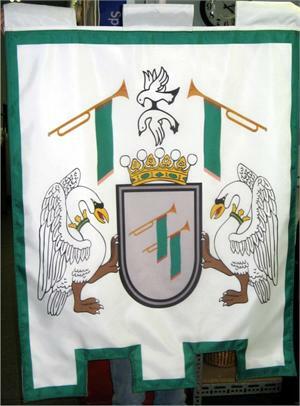 This is a modern approach to presenting a traditional banner. 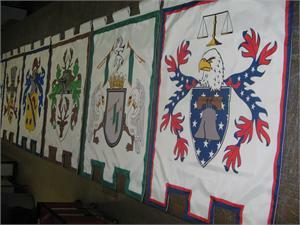 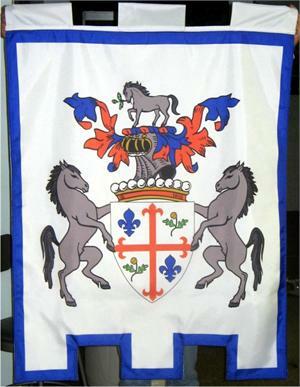 Family Coat of Arms banners or Family Crest Banners are constructed of either 200 or 600 denier poleyster Dacron fabric. 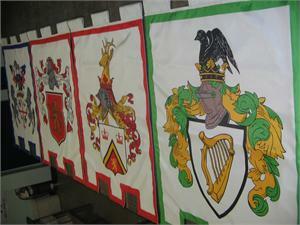 Each banner is printed with colorfast dye-sublimation ink. 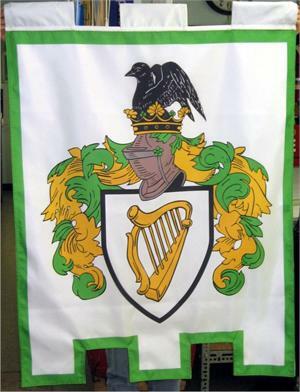 The banners are printed single-side and come with a nylon back lining, pole sleeve on top, and double needle hemming. 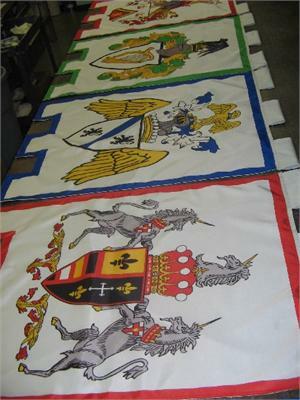 The banners may have your choice of bottom hem finishing: optional straight-cut bottom, v-cut bottom, or notch-cut bottom. 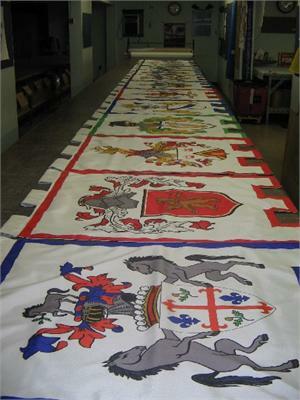 Fringe sewn to the bottom hem on either the straight-cut bottom or v-cut bottom is also optional. 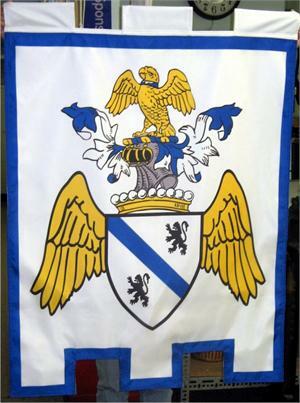 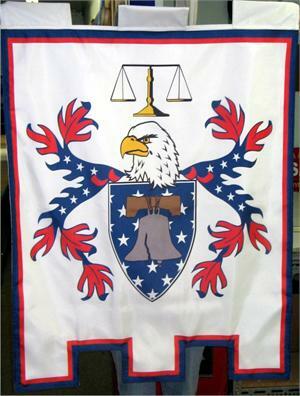 This is a banner that was chosen for name customization after reviewing the specific design elements within the crest layout and the specifc symbolism attached to each. 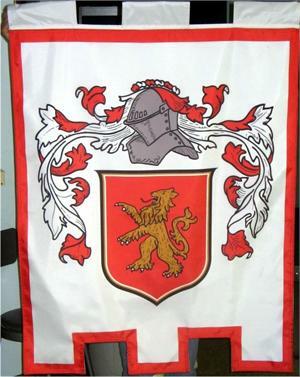 Another family choice of template. 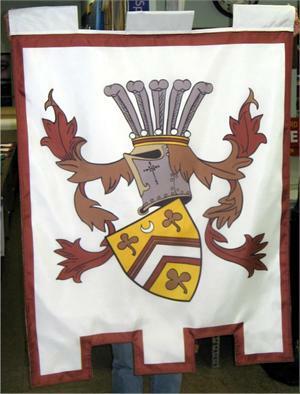 Banners were made for a corporate dining room. 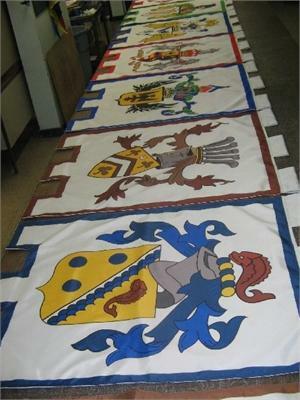 They wanted a heraldic presentation using banners to create color and heraldic atmosphere.